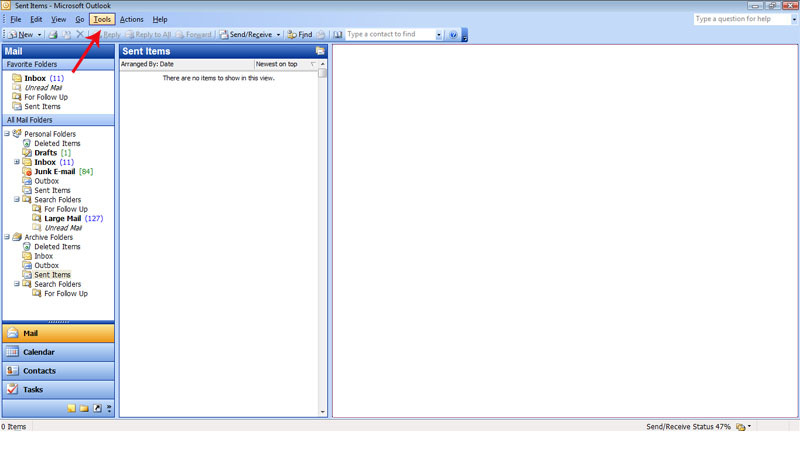 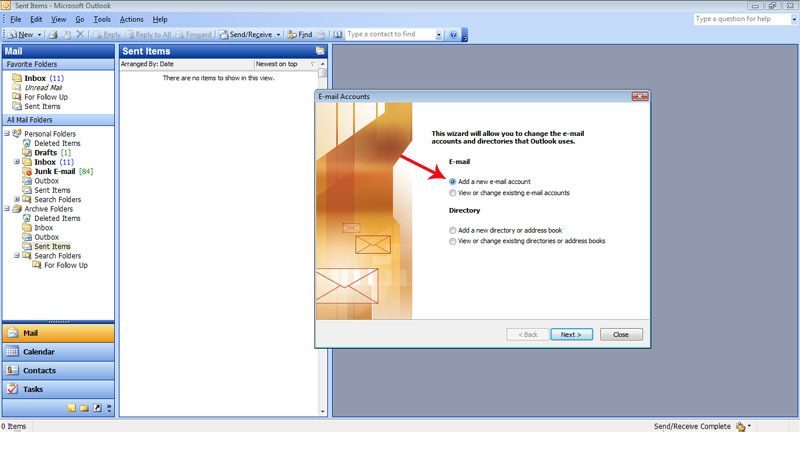 From Microsoft Outlook 2007 click on Tools. 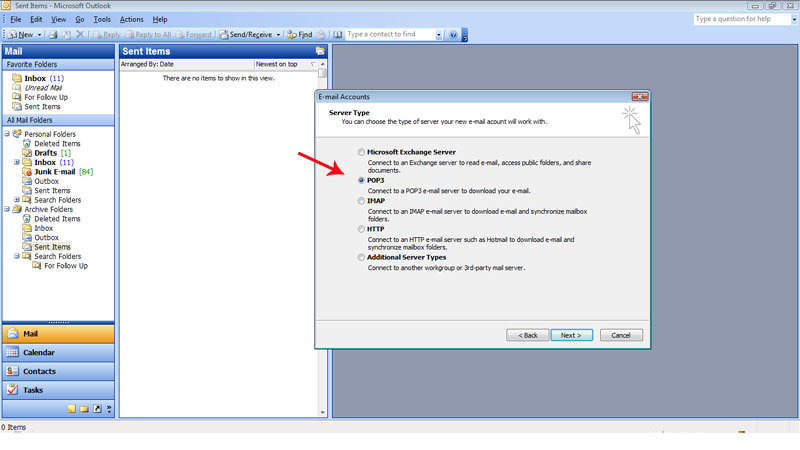 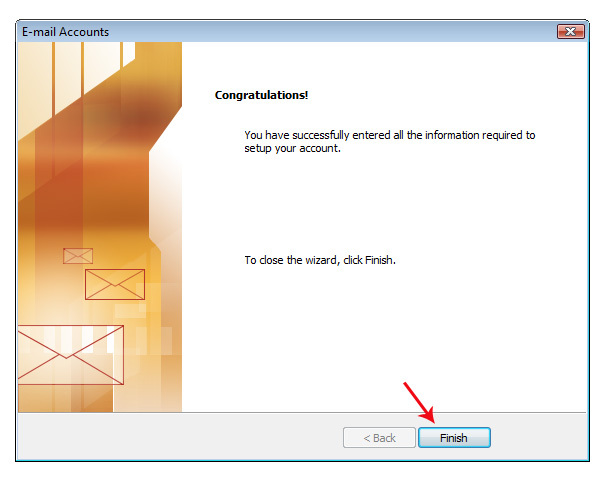 Then select Microsoft Exchange, POP3, IMAP, or HTTP. 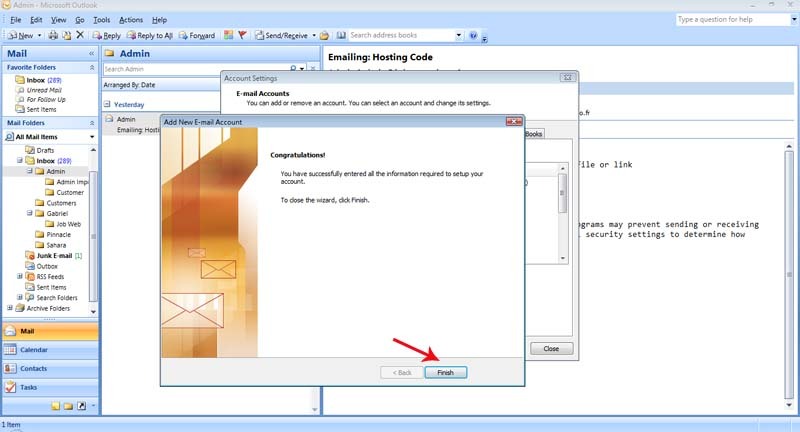 Please check Leave a copy of message on the server (that will help you to save one copy of all your email at your server) then click OK.
Now click Finish. 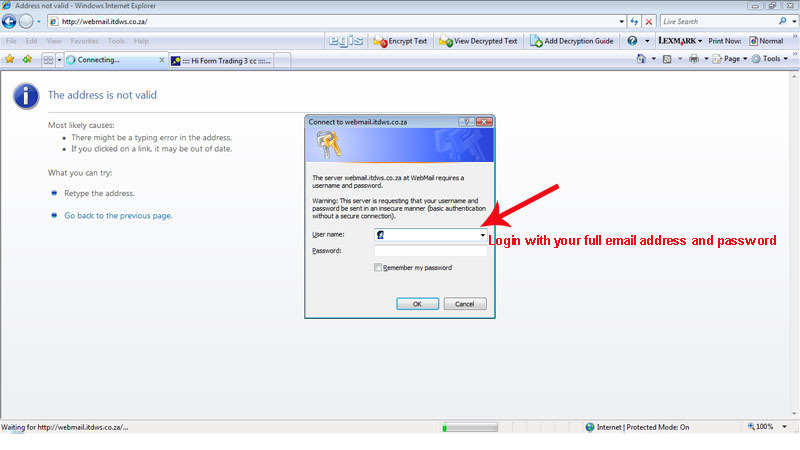 There you done to setup your email address in Microsoft Outlook. 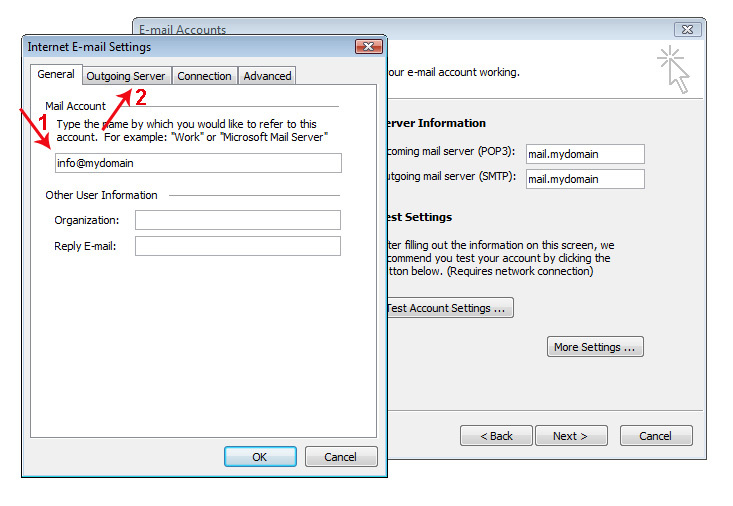 From Microsoft Outlook 2003 click on Tools. 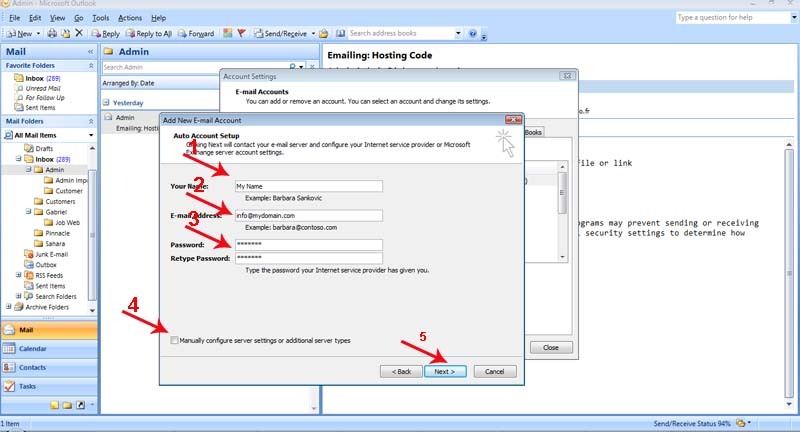 Then please check Add a new e-mail account. 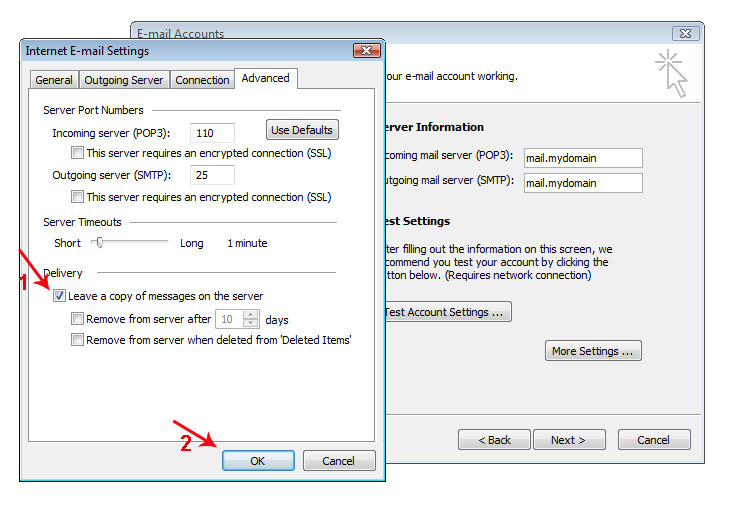 Then click on More Setting .. 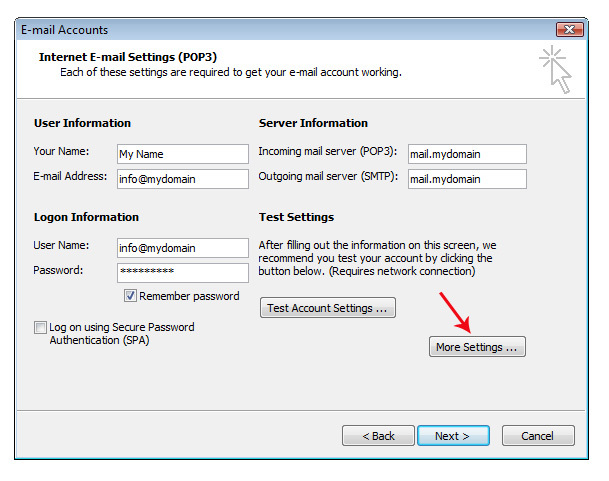 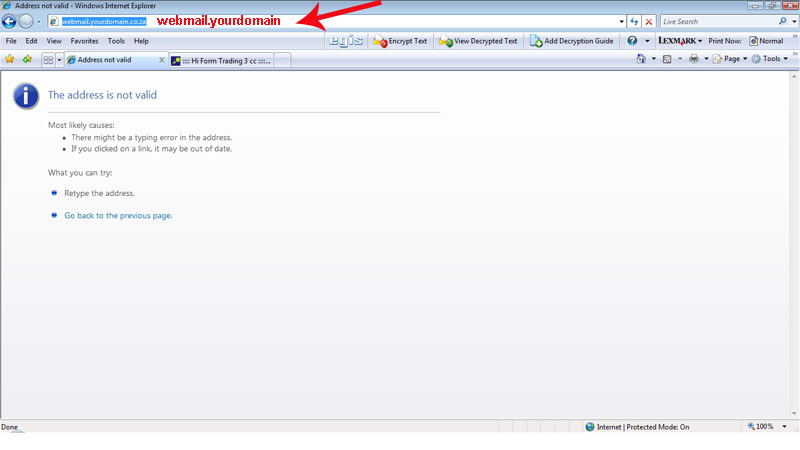 Please writ your full email address (info@mydomain) then click on Outgoing Server. 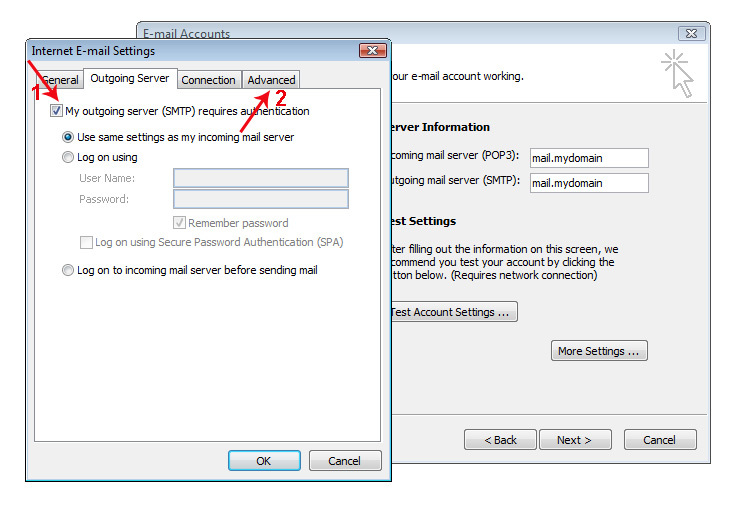 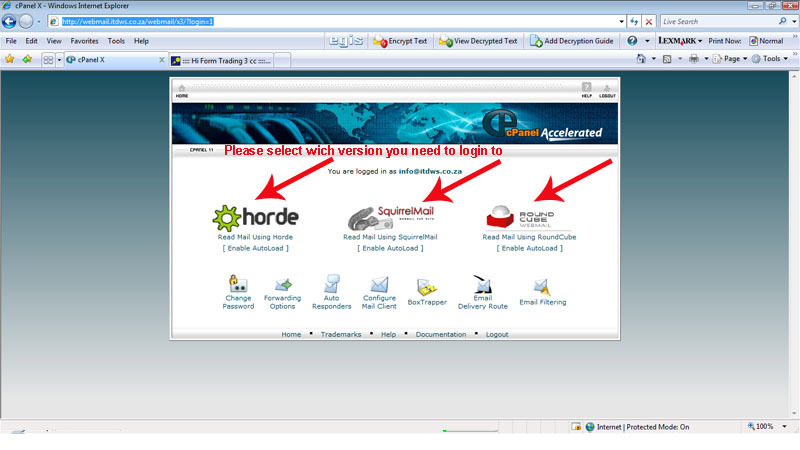 Please check on My outgoing server (SMTP) requires authentication then click on Advanced. 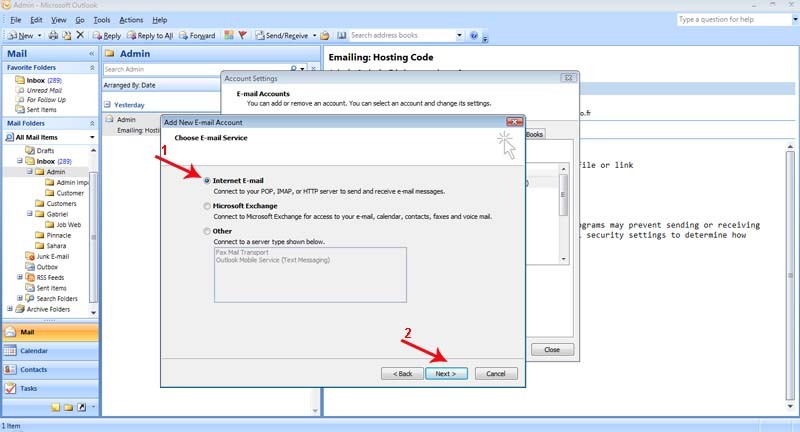 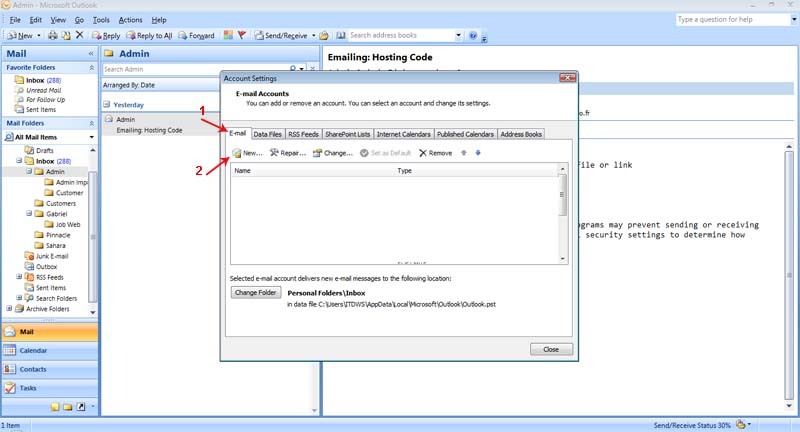 •Below, we will detail how to setup Microsoft Office Outlook 2000 to 2010 to send, receive and store email messages for a Gmail address. 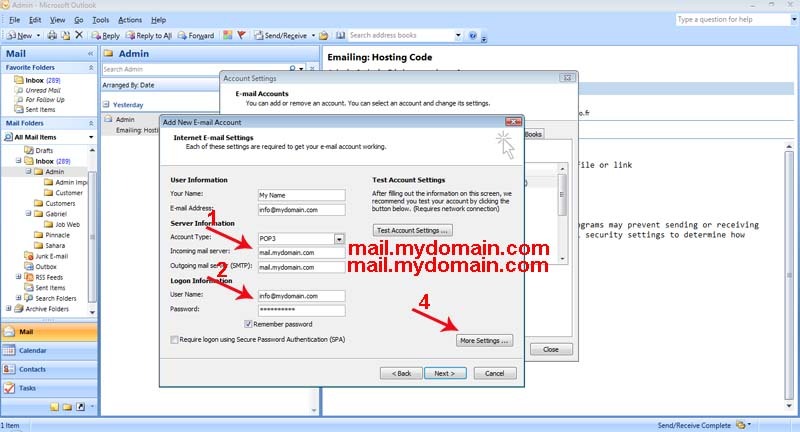 Before getting started, please make sure you know your Gmail email address and your Gmail password. 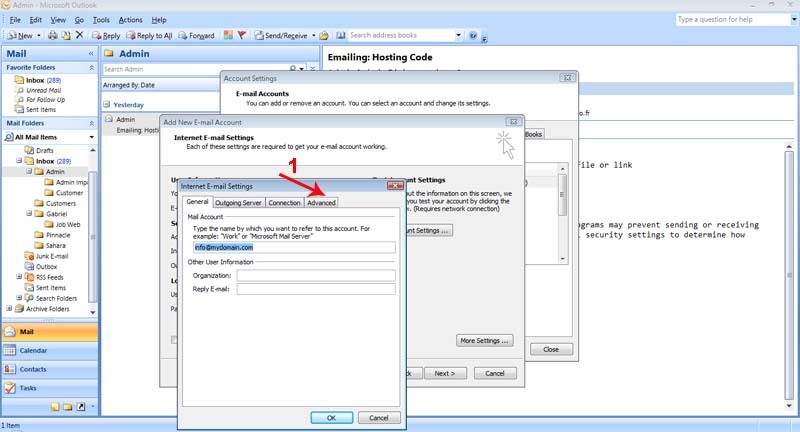 •On the User Information section, enter your Name (it can be anything, but remember this is going to be the name/text that people will see when you will send them an email via your Outlook Gmail account) and your Gmail email address. 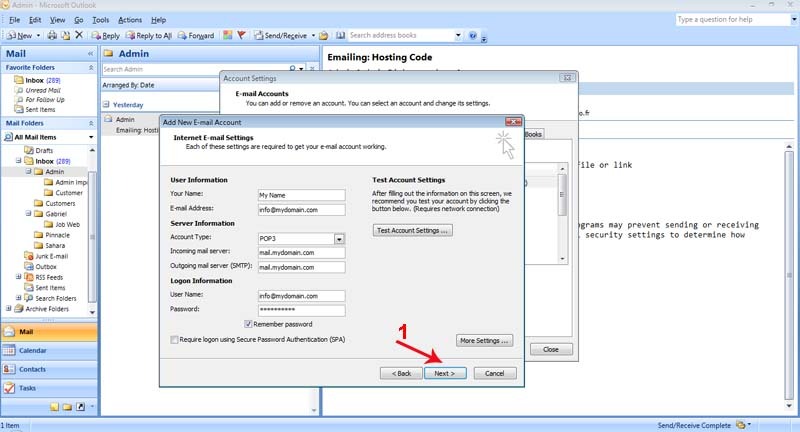 •On the Logon Information section, enter your Gmail User Name (which is the same as your Gmail email address) and your Gmail password. Tick the box "Remember password" in order to make Outlook to store the Gmail password, so it will not ask you about it every time when Outlook will send/receive emails for the Gmail account. 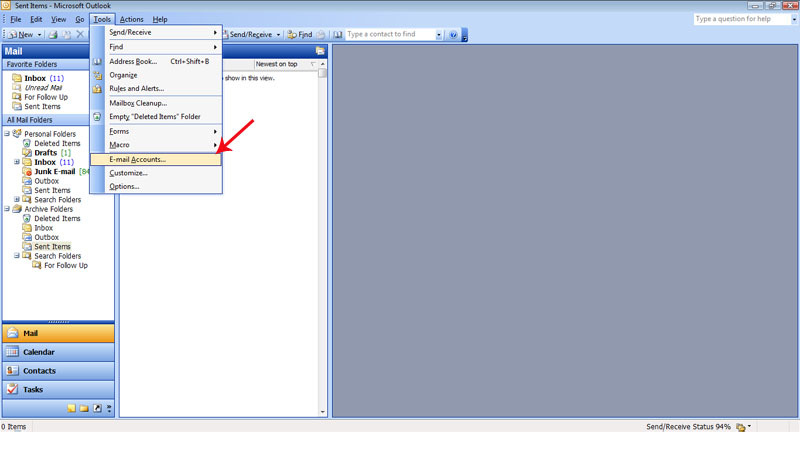 •Click on the "More Settings" button and go to the "Advanced" window tab. 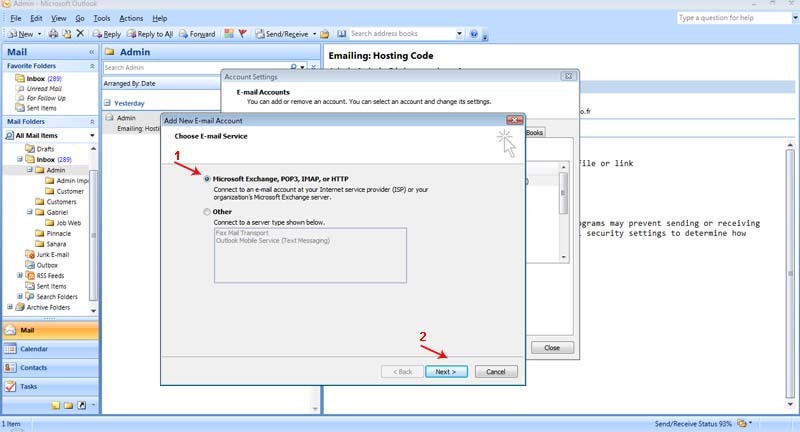 Then please select with version you like to view your emails because we have three (3) version, but the ease version is SquirrelMail then you are logged.